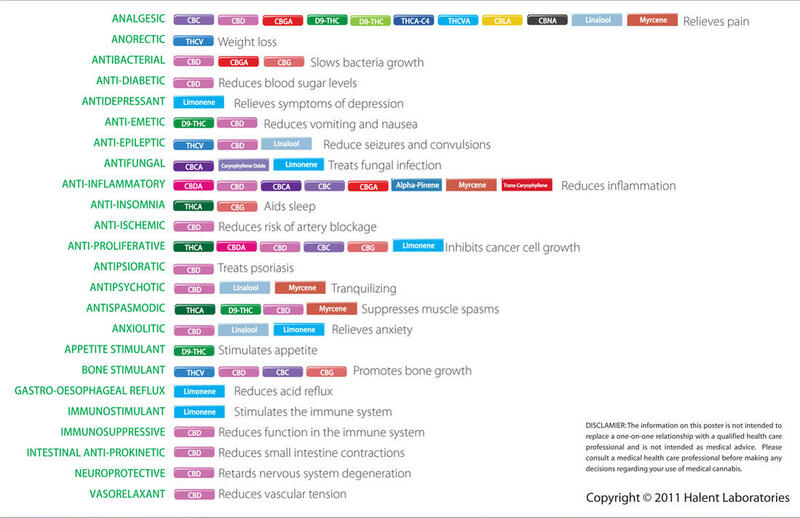 See an updated version of this post on The Leaf Online,Cannabinoid Profile – Anandamide! First isolated in 1992, Anandamide is a neurotransmitter and endo-cannbinoid, a cannabinoid produced within the body. Anandamide, also known as N-Arachidonoylethanolamine or AEA, is an endogenous cannabinoid that acts as a “key” molecule fitting into the “locks” of the CB1 and CB2 receptors around the body. It’s name is taken from the Sanskrit word ananda, which means bliss, and the word amide. An amide is a type of acid found within the body. Anandamide is the bliss amide, though it is more widely called the bliss compound (not to be confused with the spirit molecule, DMT). Very appropriate to the Sanskrit origins of it’s name, anandamide has been shown to be boosted by doing yoga, which may explain why those yogis are so calm and blissful all the time. Anandamide can be thought of as the body’s version of THC, it has many of the same therapeutic effects and if it wasn’t for the presence of anandamide in the body we wouldn’t have the CB1 and CB2 receptors that all cannabinoids interact with. Anandamide doesn’t exist solely in the human body. 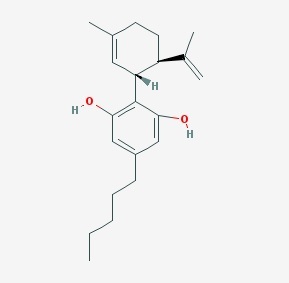 Outside of the body this endo-cannabinoid can be found in chocolate. Next time you’re enjoying a chocolate bar allow that anandamide to jog your memory, and enjoy those sweet cannabinoids. Angiogenic – Causes new blood vessels to form from pre-existing blood vessels. Neurogenic – Promotes the growth of new brain cells. Specifically within the Hippocampus, an area of the brain responsible for memory and spatial awareness (just like CBD). Angiogenesis: Anandamide is unique among cannabinoids for its ability to cause blood cells to split and form new blood cells. This is known as angiogenesis and proper functioning is crucial to fighting off the spread of cancer due to the necessity of oxygen, nutrients, and bodily waste removal that come with it. Anxiety: Anandamide, like THC, has been shown to reduce anxiety. This 2009 study, while done on mice, still sheds plenty of light on the mechanisms that AEA uses to reduce mental stress and anxiety in those experiencing it. Cancer: As early as 1998, Anandamide had been identified as an anti-proliferative compound. This means that, like most cannabinoids, Anandamide helps slow the growth and spread of cancerous cells. Specifically the 1998 study looked at its role in inhibiting the proliferation of breast cancer cells. A more recent study from 2007 showed that AEA not only suppressed the growth of tumors it also spurred the formation of new blood cells. If that wasn’t enough Anandamide also induces COX-2-dependant cell death, a type of apoptosis that helps control the growth of cancerous cells. Specifically, AEA was found to do this in apoptosis resistant colon-cancer cells. Memory Consolidation: Anandamide has been shown to boost in memory consolidation, a process where things in the short term memory get transferred into the long term memory. This gives Anandamide a very unique and important role in allowing people to function normally and to build on their prior knowledge, rather than having to relearn the same things constantly. You can think of memory consolidation as a fancy way to say learning. This same study emphasized the anti-anxiety effects of AEA. See an updated version of this post on The Leaf Online, Cannabinoid Profile – CBDa! Cannabidiolic Acid (CBDa) is one of the four possible outcomes of Cannabigerolic acid (CBGa) being processed into cannabigerol (CBG), Cannabichromic acid (CBCa), Tetrahydrocannabibolic acid (THCa), and CBDa. CBGa is processed into other cannabinoids by synthase enzymes, the CBDa synthase was first purified and isolated in 1996. Coincidentally, this was the same year California passed Prop 215 and became the first medical cannabis state. Until recently, CBDa was thought to be a minor cannabinoid and only be a small part of the overall cannabinoid profile. Higher amounts have been seen in ruderalis strains and recent hybrids like Cannatonic C-6 and ACDC have elevated levels of CBDa, potentially more than THCa. Just like THCa, when heated up CBDa becomes CBD. Like CBD, CBDa is not psychoactive. While there hasn’t been much research done on CBDa yet, the research that has been done is quite promising. It appears to have anti-emetic effects as well as anti-proliferative effects, making it ideal for fighting cancer.It also has been shown to be an anti-inflammatory and to possess anti-bacterial properties. Anti-Bacterial: Leizer et al (2000) mention a strong correlation between the levels of CBDa in a plant and the CBD levels of the plant after synthase. They also mention that more CBDa present will mean greater antimicrobial potency in the resutling CBD. They do not explain the mechanisms at work. Anti-Emetic: A 2013 study shows that CBDa reduces vomiting and nausea by increasing activity at the 5-HT1A receptor. This means that CBDa can be used as a non-psychoactive alternative to THC to prevent vomiting and nausea. This isn’t the first study to show this, a 2011 study found that CBDa functioned as an anti-emetic but did not pin the relation to the 5-HT1A receptor. More research should be done to properly explore this exciting new medicinal use for CBDa. Anticipatory Nausea: Anticipatory Nausea (AN) is a condition where someone vomits due to neutral stimuli, before they are actually nauseous. AN is very common in patients receiving chemotherapy, roughly 29% will develop it. AN appears to be the result of classical conditioning; given enough exposures to neutral stimuli, like the smells of the chemotherapy room, a susceptible person will begin to vomit before even receiving treatment. In a 2014 study, CBDa was shown to be a very effective treatment for sufferers of AN. In 2013, the same group of researchers found that CBDa was an effective treatment for acute nausea in chemotherapy patients. See an updated version of this post on The Leaf Online,Cannabinoid Profile – CBN! Cannabinol (CBN) is what tetrahydrocannabinol (THC) will break down into over time due to exposure to oxygen and heat. CBN is a mild psychoactive, much less intense than when it was THC. CBN is the strongest cannabinoid identified for promoting sleep, this makes cannabis rich in CBN an ideal treatment for insomnia. Indica strains appear to have more CBN than sativa strains, this would explain the commonly held belief that indicas make you sleepy and give you a body high. CBN is a CB2 and CB1 receptor agonist and may inhibit immune cell functionality. Appetite Stimulant – CBN appears to be a mild appetite stimulant. Bone Stimulant – Promotes bone growth by stimulating osteocytes. Analgesic: Both THC and CBN have been identified as pain killers, though THC is far more powerful. A 2002 study identified that both THC and CBN cause a release of certain gene-related peptides from sensory nerves and they are the only identified cannabinoids to use this mechanism. Appetite Stimulant: Everyone knows that THC stimulates the appetite, giving users the ‘munchies’ that many people describe. It was only in 2012 that it was discovered that CBN also stimulates the appetite, though it appears to be not as strong as THC. Cancer: A 2006 study revealed that CBN joins THC and numerous other cannabinoids in having the ability to control the growth of cancer cells. CBN specifically was found to control a type of lung tumor known as a Lewis carcinoma. *Note: Decarboyxlation – A chemical reaction that removes a carboxyl group and releases CO2, often triggered by heat or exposure to sunlight. See an updated version of this post on The Leaf Online,Cannabinoid Profile – THCa! Found in the trichomes, Tetrahydrocannabinolic acid (THCa) is the acidic precursor to THC, which actually exists in only minute quantities in the living plant. In living cannabis, THCa is the most abundant cannabinoid and terpenoid, potentially reaching over 30% of the dry weigh of the cannabis. Once the plant is harvested it begins a clock where, over time, the THCa begins to be converted into THC, a process quickened by exposure to heat and sunlight. One main reason cannabis is cured is to convert the THCa into THC, as well as drying it out to make it easier to burn, thus releasing the remaining THCa as THC. Knowing about decarboxylating cannabis is crucial in making edibles, where one pre-cooks the bud before making it into butter to raise the potency by converting THCa into THC. Like all cannabinoids that exist in the living cannabis plant, THCa is non-psychoactive, though it still stimulates the appetite like THC. It also is a powerful anti-inflammatory, helps fight cancer and other tumors, aids with sleep, and more. Also like THC, an oral test has already been developed to detect THCa. While some sources show THCa to be a stable compound, Aphios research chemicals claims that it is very unstable and will breakdown into THC within weeks. It may have to do with the preparation of synthesized THCa used in their laboratory versus an active live-plant based THCa, but without further research the stability of THCa and how quickly it converts to THC is unknown. Anti-Emetic: THC has long been recognized as a valuable tool in combating nausea, but research done in 2013 found that THCa may be even more effective at preventing nausea and vomiting than THC. This means that patients suffering from nausea who do not want the psychoactive effects of THC should consider THCa. Cancer: Many sources online claim that THCa helps fight cancer, but few studies have been done examining the cancer-fighting properties of this non-psychoactive cannabinoid. This 2011 study hints at the anti-tumor properties of THCa but its main focus was on the interaction of various cannabinoids and the TRP protein receptor channel. A 2013 study looking at prostate cancer also found THCa to be effective but did not elaborate on the mechanisms used or recommend further study. Lupus: While no formalized studies are being done on THCa and Lupus, Dr. William Courtney and his wife Kristen have anecdotally demonstrated that fresh juiced cannabis high in THCa can control Lupus. As Kristen is still alive and managing her Lupus this study is ongoing, and still a success. Neuroprotective: A 2012 study done on cell cultures shows that THCa may be a mild neuroprotective compounds for certain classes of brain cells, preventing unwanted cell death. These effects do not seem as notable as the neuroprotective qualities of THC and CBD but they are certainly worth more research. The THCa/CBGa Process: Cannabigerolic acid (CBGa), CBG, THCa, THC, CBD, and CBC are all related compounds formed from the same chemical processes. CBGa and THCa are the originator compounds that appear to morph into the others. This linkage was explored in this 2012 study but needs further research to fully understand the mechanisms it works through. 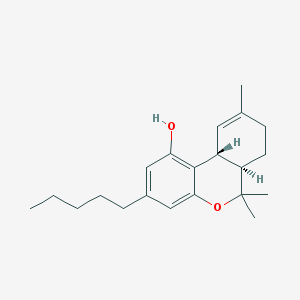 See an updated version of this post on The Leaf Online,Cannabinoid Profile – THC! I will be working to update and expand all of these posts with time and as I come across more research, if you know of anything I may have missed please bring it up. Hope you enjoy learning about the medicinal and recreational benefits of THC; remember, all use is medicinal use. There is no way to stop that THC from preemptively fighting your cancer, even if you ‘just wanna get high’ you’re still medicating. While Δ9-THC is the most common cannabinoid in most plants it is not the only THC in cannabis, it is joined by THCa, THCv, and Δ8-THC, as well as a slew of other cannabinoids, including CBD and CBG. Δ9-THC is the primary psychoactive compound that has been identified in the cannabis plant, though other trace cannabinoids may be psychoactive and many more modulate how THC effects the body. Δ9-THC is the cannabinoid responsible for the fabled munchies that cannabis users speak of; ironically THCv, it’s chemical relative, is being researched as an appetite suppressant (more on that in a future blog). Anxiolitic – While not fully recognized as an anxiolitic compound THC does seem to assist in the anxiety associated with PTSD. Cancer: THC has been shown to halt the growth of tumors, and in some cases shrink them, through various methods not fully understood. In one recent case study, an infant suffering from a brain tumor experienced a 90% reduction in tumor size over a year of twice a day use of hemp oil. Veteran cancer researcher Donald Tashkin, in the largest controlled study of its kind, found that daily smoking of THC-rich cannabis resulted in lower instances of cancer than in the general population of nonsmokers! Think about it; all smoking causes cancer by creation of benzopyrene, but despite that THC is a strong enough anti-proliferative to prevent more cancer than the smoking causes. Fun Fact: Burning ANY organic matter creates benzopyrene. This means that barbeque, toast, and even grilled vegatables can give you cancer. Pain Management: THC has been shown to have great prospect in treating chronic pain because it seems to change “the way the nerves function.” THC also has been studied heavily for its use in treating neuropathic pain, including the pain associated with HIV and cancer. Recent studies seem to agree that THC changes how we feel pain and makes it more bearable. It is not a pain killer in the sense that it numbs the ability to feel pain, instead it seems to raise an individual’s pain tolerance making the same amount of pain less significant. Anorexia Nervosa: THC shows great promise in reversing the weight loss associated with anorexia in studies on mice as well as humans. Even the synthetic cannabinoids dronabinol and marinol have been demonstrated to help with weight loss. HIV/AIDs: Aside from assisting with the pain and nausea that often are associated with HIV/AIDs, THC directly fights the virus in unique ways that have only recently been identified. A 2012 study shows THC assisting in HIV treatment by its activation of CB2 receptors and CD4 receptors. Cannabis affects our body by interacting with our endocannabinoid system, the CB2 and CD4 receptors are a part of that system. A study from earlier this year expands on the role of THC in combating HIV through its activation of CB2. Post Traumatic Stress Disorder: Though THC is not commonly considered a treatment for anxiety it has shown promise for anxiety, specifically with Post Traumatic Stress Disorder. Gastrointestinal Inflammation: THC lowers the incidence of blockages and other gastrointestinal inflammation associated with use of NSAID anti-inflammatory drugs. THC “protects against diclofenac-induced gastric inflammatory tissue damage at doses insufficient to cause common cannabinoid side effects.” A recent survey of Irritable Bowel Disorder sufferers found that 1/6 use THC-rich cannabis to treat the inflammation. See an updated version of this post on The Leaf Online,Cannabinoid Profile – CBD! As I mentioned in my first post I work at Harborside Health Center, the world’s largest medical cannabis dispensary and one setting a law-abiding example for all other collectives to emulate. We’ve been featured in the Discovery Channel documentary Weed Wars and CNN’s recent show Inside Man. We are also winning a major court battle against the Department of Justice in Federal court with the full support of the city of Oakland. This cannabinoid profile is based off something I prepared for work to help educate our staff, the first of many to come. While my manager only asked me to make one for CBD, as time allows, I plan to cover all major cannabinoids (THC, THCa, THCv, CBG, CBCs, etc). A slight bit of background on myself, though my BA is in political science it would be more accurate to say I went to school for a bachelors in cannabis. I wrote numerous research papers about cannabis while in school, I briefly appeared on CNN discussing why we should legalize it to end the war with Mexico’s cartels, and I was a regional director for Proposition 19 as well as 2012’s failed Regulate Cannabis Like Wine act. That is just the tip of my drug policy activism and merely the cover of my activists resume, but all that is terribly relevant to mention now. Future Cannabinoid Profile posts won’t bother with this introduction, I’ll just jump right into it from now on. CBD is non-psychoactive and it is a powerful anti-psychotic drug, valuable for sufferers of psychosis or schizophrenia. CBD has been shown to be at least as strong an anti-inflammatory as Ibuprofen and at least as effective as THC for treating pain and managing tumors. CBD has a wide range of therapeutic uses ranging from physical ones like pain relief to mental ones like relief of anxiety and depression. CBD is also neuroprotective and neurogenetic, protecting the brain and promoting the growth of new brain cells. CBD has been shown to be extremely effective in treating seizures. Due to the fact that it is non-psychoactive and strongly medicinal even in small doses CBD is highly recommended for treatment of children, the elderly, and anyone who wants to remain clear headed yet medicated. CBD appears to change how THC affects the body, making it less psychoactive and more therapeutic; this process is still being actively researched. CBG ,CBD, and the CBC’s all share the same molecular formula but have a different structure. Anti-Diabetic – CBD is the only cannabinoid identified that helps lower blood sugar levels. Anti-Ischemic – CBD is the only cannabinoid identified that reduces the risk of artery blockage. Antipsioratic – CBD is the only cannabinoid identified to treat psoriasis. Antipsychotic – Tranquilizing effects relieve symptoms of psychosis, two terpenoids also help (linalool and myrcene). Immunosuppressive – CBD is the only cannabinoid identified that reduces function in the immune system. Intestinal Anti-Prokinetic – CBD is the only cannabinoid identified that reduces small intestine contractions. Neurogenic – Promotes the growth of new brain cells, specifically within the Hippocampus (an area of the brain responsible for memory and spatial awareness). Vasorelaxant– CBD is the only cannabinoid identified that reduces vascular tension. Cancer: A study was published in 2007, regarding ongoing research being done at San Francisco’s California Pacific Medical Center, showing that CBD inhibits a particular gene (Id-1) which is responsible for the growth of cancer cells in the body. By inhibiting this gene CBD shuts down the growth of cancer cells, potentially stopping or even reversing tumor growth. While it is premature to say that cannabis, specifically CBD, cures cancer it is worth further research. Dravet Syndrome/Epilepsy: In October of 2013, the Food and Drug Administration (FDA) approved two clinical trials assessing the therapeutic uses of CBD in treating intractable epilepsy in children. The CBD preparations are being made by British pharmaceutical company GW Pharmaceuticals, makers of Sativex. Dravet is a rare seizure disorder where usually children will have their first intractable seizure before they are even one year old, in exceptional cases seizures can last for hours and potentially over 24 hours. Where I work we have several patients who suffer from severe seizure disorders, like Dravets. Patients like Jayden, who has achieved near celebrity status for his great success in managing Dravets with a CBD-rich tincture. Parkinson’s Disease: Two studies, one out of Israel and one case study, have come out this year showing that CBD rich cannabis may be a treatment for “complex sleep related behaviors” caused by Parkinson’s Disease. It would seem Parkinson’s Disease changes the pattern of rapid eye movement that happens while you sleep, causing sleep disturbances and CBD will mitigate that. Depression/Anxiety: CBD stimulates the 5-HT1a receptor in the brain, this region of the brain is involved in the re-uptake of serotonin and other processes that aid with depression and anxiety. The antidepressant properties of CBD are very similar to the trycyclic antidepressant Imipramine (also being evaluated for panic disorder). Schizophrenia/Psychosis: CBD is a powerful antipsychotic currently being considered for use in treating schizophrenia and other types of psychoses. Cannabidiol appears to have a very similar chemical profile to certain atypical antipsychotic drugs. CBD also slows the degradation of the endocannabinoid anandamide, resulting in increased levels of anandamide and lower rates of psychosis. A recent study found CBD to be as effective at treating psychosis as the anti-psychotic drug Amisulpride. Liver Protection Against Binge Drinking: A study just came out showing that CBD protects the liver against damage from binge alcohol drinking by way of inhibiting oxidative stress and increasing autophagy. Put into layman’s terms CBD encourages the old and overused parts of cells to recycle into newer parts and controls free radical damage. Inflammatory Bowel Disease/Crohn’s Disease: CBD shows a lot of promise for controlling the inflammatory responses and discomfort caused by Crohn’s disease and IBD. CBD has so much potential to regulate these diseases that it is being considered for a new class of IBD drugs. Neurogenesis/Neuro-Inflammation: Since 2007, CBD has been studied for its role in promoting the growth of new brain cells in the Hippocampus, a brain region that governs memories and our spatial awareness. It was also shown to reduce inflammation in the brain, which is related to Alzheimer’s disease. The mechanism of the effect seems to relate to the activity at the CB1 and CB2 receptors. Alzheimer’s Disease/Dementia/Memory Loss: Far from the stereotype, cannabis actually improves your memory and cognition abilities. CBD’s strong neuroprotective and anti-oxidative effects work together to counteract the effects of aging on our brains, fighting off memory loss and dementia. If you read this post and are still craving more information check out this video and the references listed below.